Two toilets one is ensuite in the main bedroom. £50 non-refundable deposit, and the balance to be paid 4 weeks before the hire start date. 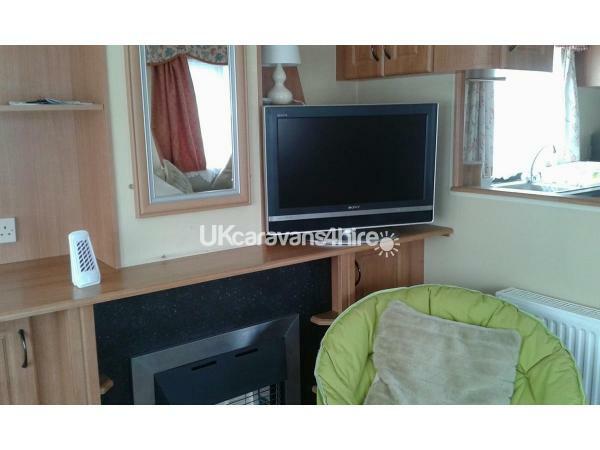 In the event of damage to the caravan a £100 refundable deposit is needed. Name and address required and ages of all people staying. 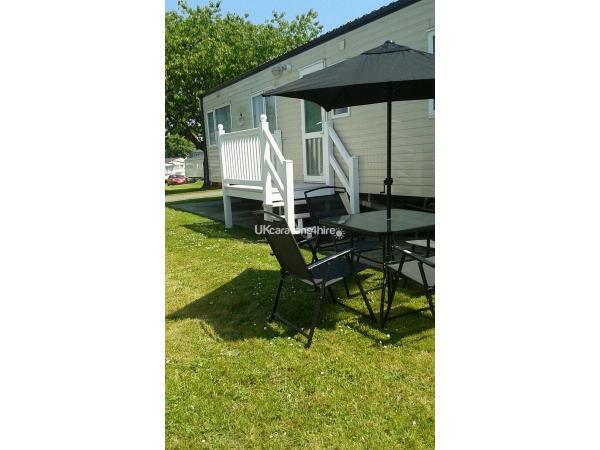 Our static caravan is situated in a beautiful location on the South Coast, in Devon on an excellent site that boasts excellent facilities. The caravan is situated on a "No through road" part of the site so passing traffic is minimum and it is very safe. 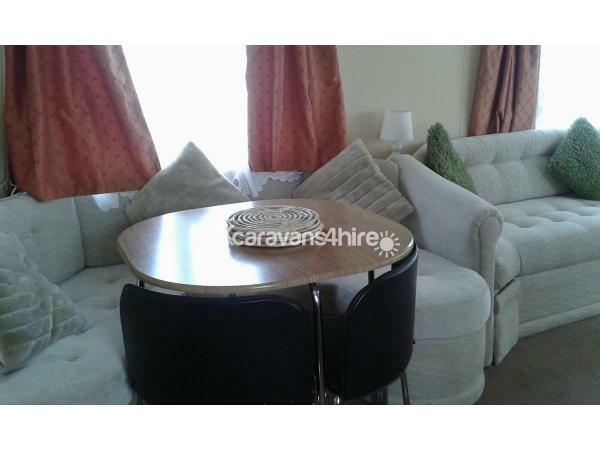 The caravan is situated close to the swimming pool, entertainment centre, grocery shop and laundry room. 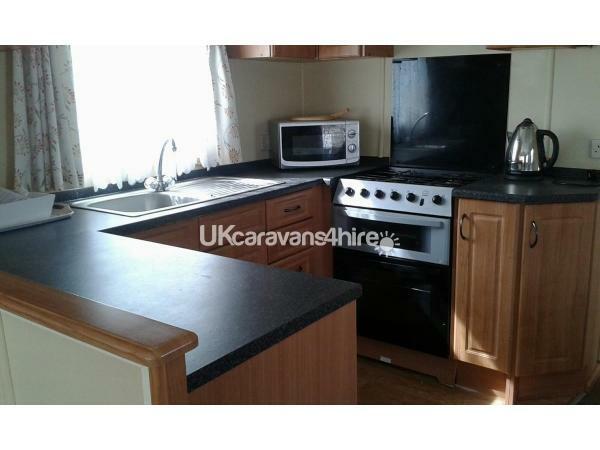 The caravan has two bedrooms, the double bedroom has a double bed with ensuite toilet and the second bedroom has two single beds. 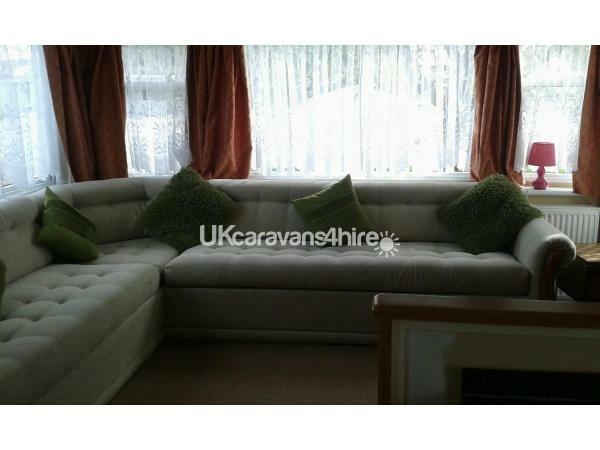 There is a folding double bed incorporated in the in the sofa unit so you have the ability to have 6 people staying. There is also a second toilet as well as the en-suite. There is a fridge freezer in a well-equipped kitchen with utensils, pans, cooking appliances and crockery. There is a large parking area which can be used for 2/3 cars or a play or seating area. There is also a table and chairs with a parasol for sitting outside. There is an additional fee of £20 for any pets. We can supply bedding for an extra £20 or you can supply your own. There is a £50 deposit to be paid to reserve your booking and dates. This payment will be deducted from the overall rental fee. The rental fee is to be paid 3 weeks before the start date of the holiday. The site is a short walk to Warren Lane which takes you down to the beach, bakery, doctors surgery, chemist, restaurants, and pubs. There is a bus service going to Dawlish, Teignmouth, and Torquay via Shaldon and a footpath leads along the seawall into Dawlish. No reviews found. If you have recently stayed in this holiday home please leave a review, it only takes a few moments and will really help future guests when they are searching for holiday accommodation at Golden Sands Holiday Park.